Wednesday – Cleared ICC25 of all bosses up to and including Sindragosa. Sunday – Defeated Yogg-Saron with 0 watchers, earning us the Realm First! Death’s Demise achievement (better late than never!). Monday – Completed A Tribute to Insanity (25 player), earning us the Realm First! Grand Crusader achievement. I can honestly say that I am truly proud of DPC’s raiding progress of this week. Amazing stuff! 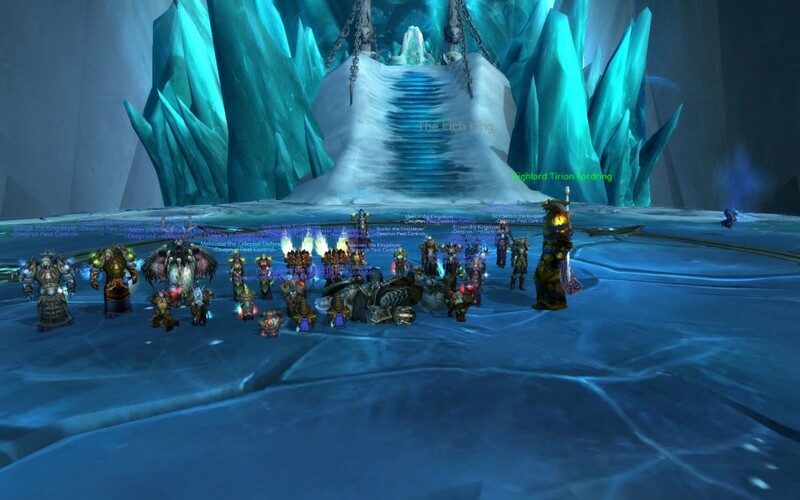 Despite our main tank dying an impressive 3 times during the Lich King fight, and helped by some heroic intercept kiting when the Lich King went berserk after the harvest soul target died, this first kill nevertheless was a great achievement. Having done Yogg-Saron with 1 watcher several times before, progressing to 0 watchers was not too big of a step. A team of 3 hunters (backed up by feral druid, death knight and anyone else with a taunt button in case things went wrong, and helped by the Yoggles beacon marker mod), dealt with the trickiest part of the fight: pulling the empowered guardians away from the pack to stop them from healing Yogg-Saron and each other. Of course outgearing the fight somewhat did make the encounter slightly easier, but it’s still not quite a cakewalk yet! 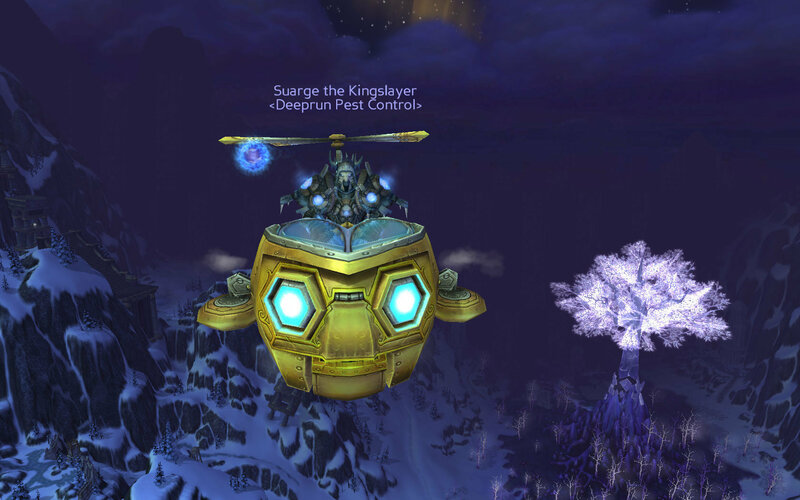 Suarge was our lucky winner of the Mimiron’s Head mount dropped by Yogg-Saron in his hardest mode. Despite a very rocky (and tense) start on the Anub’arak kill, where 2 raid members got ganked by an add not being picked up (and the ensuing shadow strike), the rest of the fight actually went very smoothly, with no deaths on phase 3. 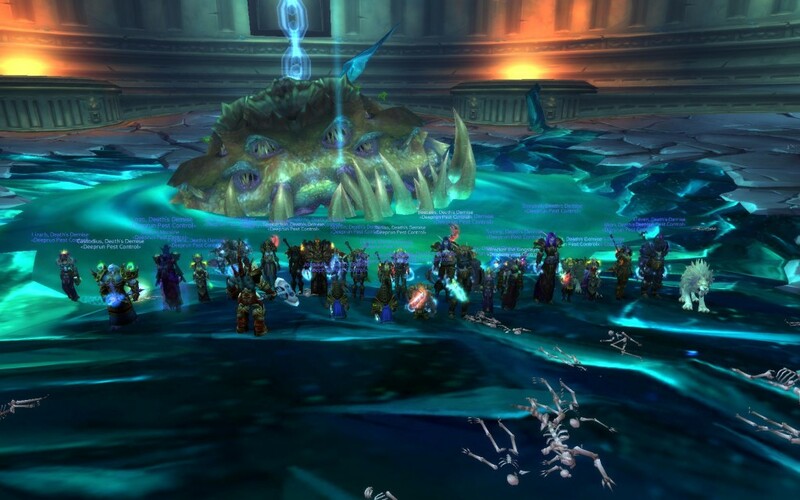 Let’s not forget our 10-man raids. Some excellent progress is being made, with all hard-mode bosses except for Sindragosa and The Lich King defeated.